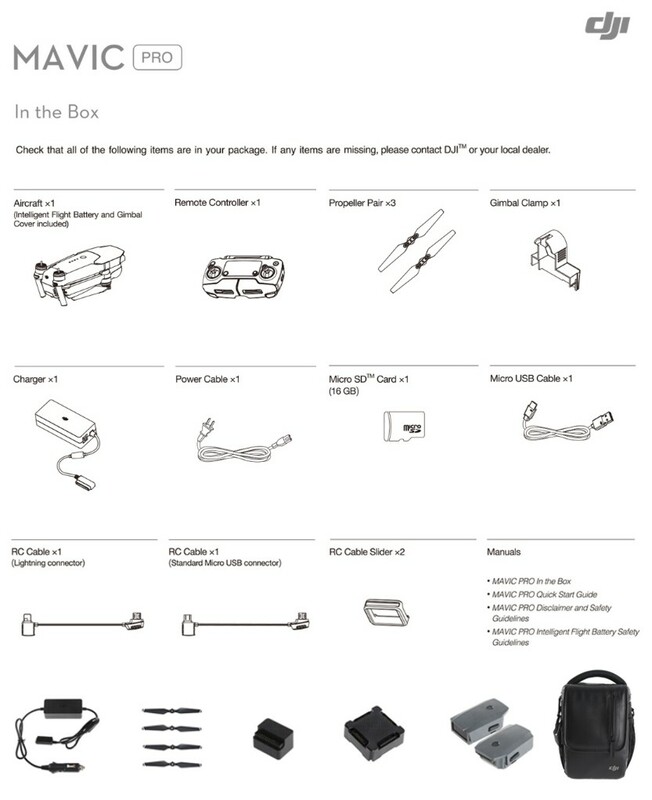 - The DJI MAVIC PRO folds down as small as a bottle of water, making it small enough to bring with you everywhere. - New OcuSync transmission system offers up to 4.3 miles (7km) of transmission range. 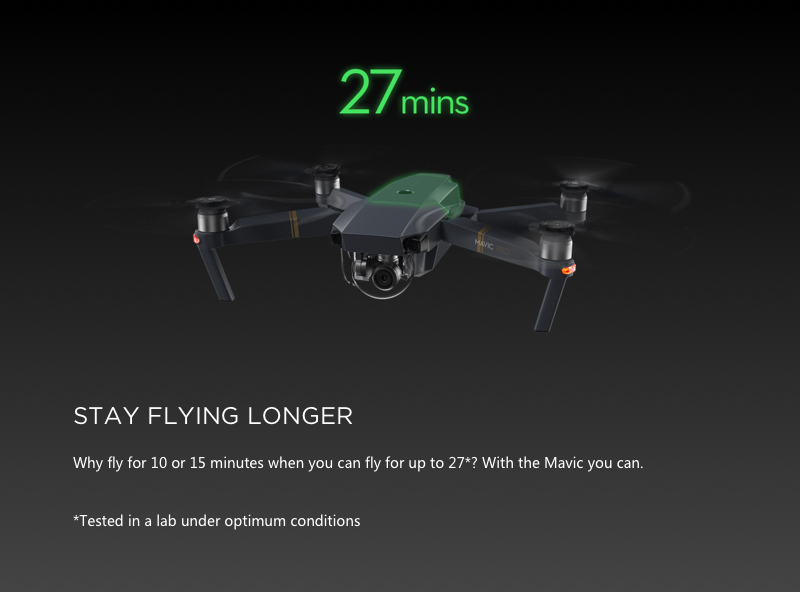 - Fly at up to 40mph (64kmh) or for as long as 27-minutes. 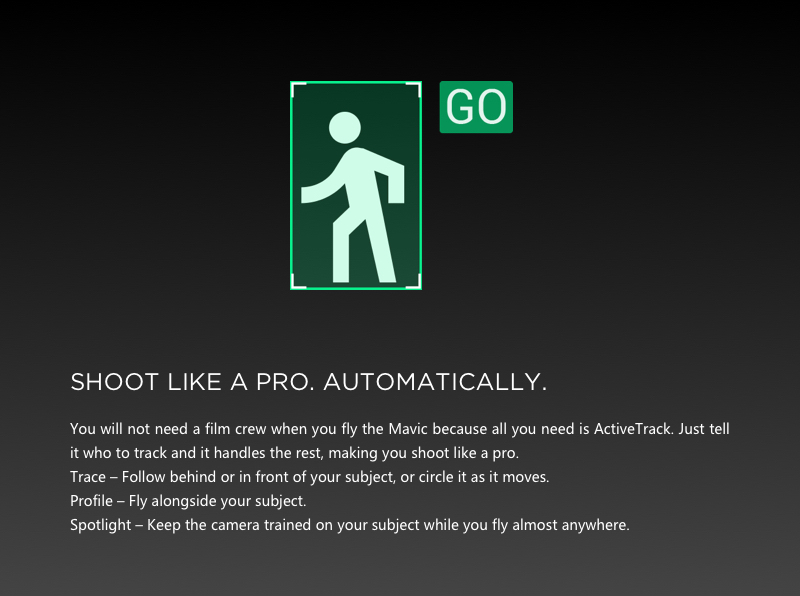 - ActiveTrack, TapFly and other smart features make professional looking video effortless. - Obstacle Avoidance combined with sensor redundancy increases flight safety and reliability. - Vision positioning paired with GPS and GLONASS ensures precise positioning indoor and outdoors. The Mavic acts on your every instruction almost instantly. Whether you want to shoot a slow, graceful flowing shot, or get your blood pumping at 40mph (65kph) speeds in Sport Mode. 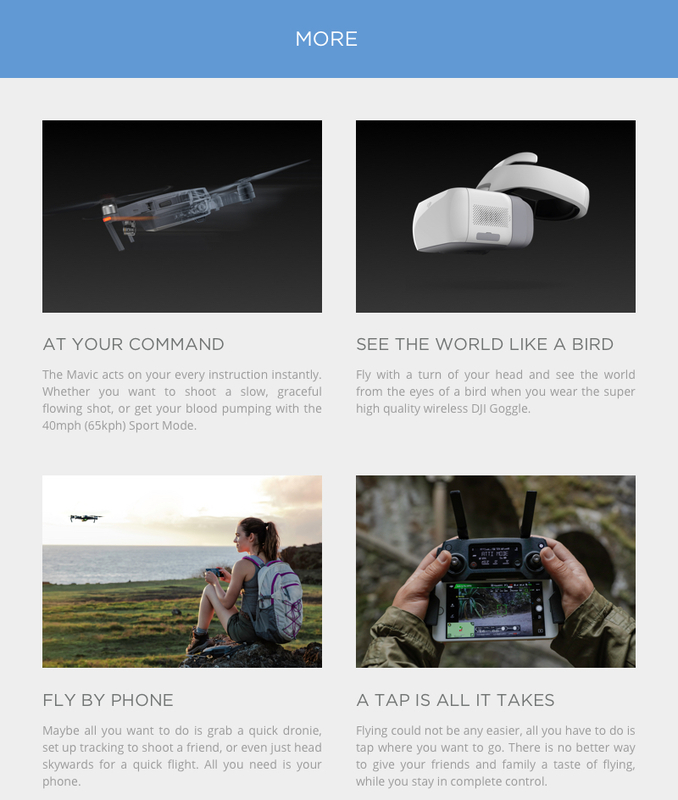 See the world through the eyes of a bird when you wear the super high-quality wireless DJI Goggles. You have shot the most incredible scene imaginable. Now you can edit it with just a few taps in the DJI GO 4 Editor, and share it instantly for all the world to see. Both Master and Slave remote controllers can control the aircraft and gimbal, but the master remote controller has priority. A more experienced pilot can use the Master remote controller to override a less experienced pilot for better safety. Dual Remote Controller Mode makes it fun and easy to fly the Mavic and film aerial footage collaboratively. 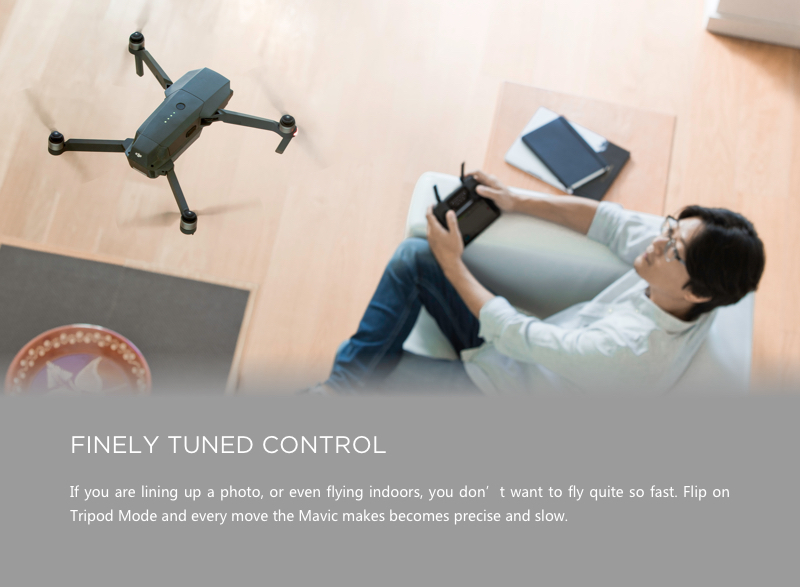 The Mavic’s Intelligent Flight Batteries give it a flight time of up to 27 minutes, allowing you to check battery level and status in real-time during a flight through the DJI GO 4 app. It also calculates remaining flight time, helping pilots fly more safely. 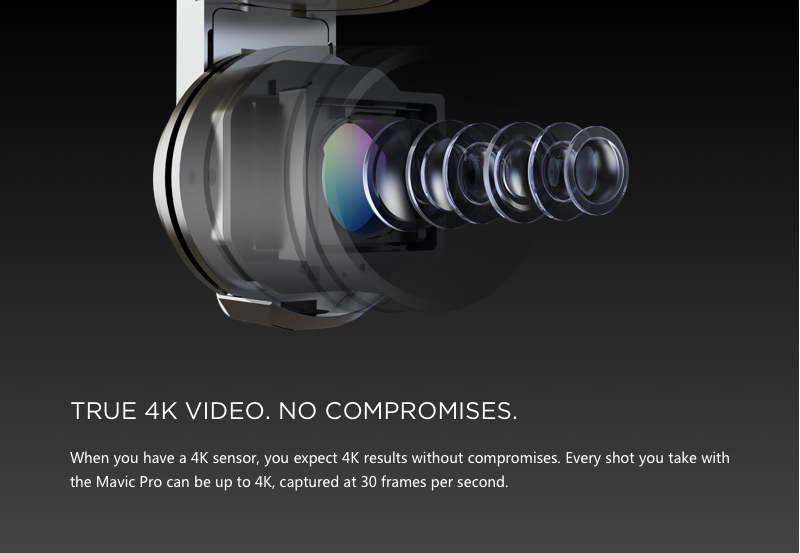 Through the DJI GO 4 app you see everything the camera sees, as well as everything you need to know about your Mavic, from battery life to where it is, to where it is heading and much more. Flight Control systems are critical to stable flight and they need data from different sensors on the Mavic to function. The Inertial Measurement Unit (IMU) and the compass are the most important ones, yet they are also the most vulnerable to interference. 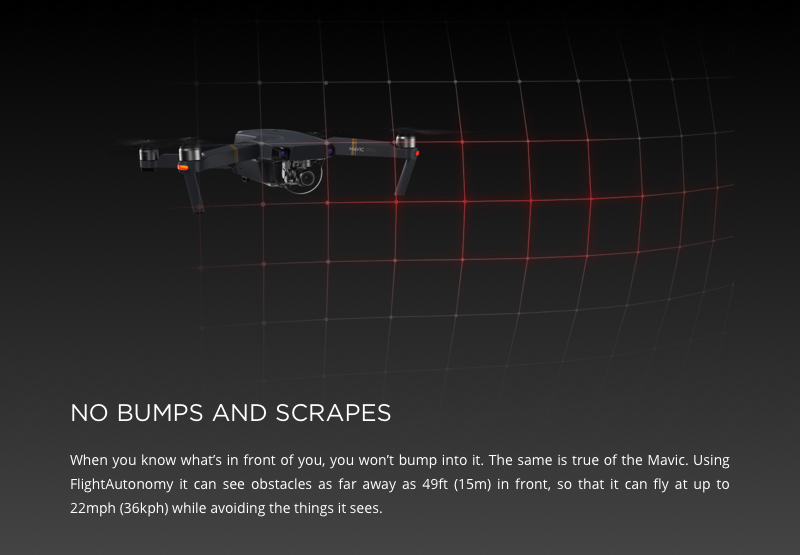 The IMU acquires the angle, speed, and acceleration of the Mavic, so if it functions abnormally, it could negatively affect flight. 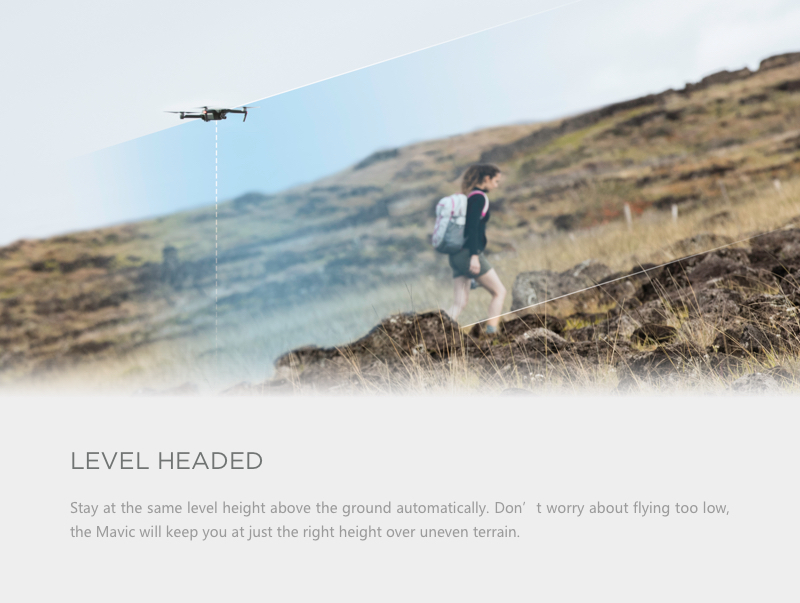 The compass is used to know where the drone is heading, ensuring it flies in the right direction, and allowing it to return to home automatically. Without the compass, the Mavic would lose its ability to navigate. This is why the Mavic has dual IMUs and dual compasses. 1. Stability of the propulsion system: The Mavic will only fly when its motors and propellers are normal and intact, and the battery is sufficiently charged. 2. Stability of flight attitude: Flight attitude is controlled by the Flight Controller. Any errors in attitude could have serious consequences including crashes. 3. Stability of sensors: Flight attitude is calculated from the data of an array of sensors. Any errors from the sensors could have serious consequences including crashes. Through DJI’s years of experience in drone development, and from extensive reliability tests DJI has found that propulsion systems and batteries are highly reliable while sensors, especially the IMU and the compass, are more slightly more susceptible to errors. This is why the Mavic has made these sensors redundant with two sets of sensors working simultaneously. Whenever the system detects an inconsistency in one, it switches to the other, keeping your flight steady and reliable. Sometimes a phone is all you need to fly. 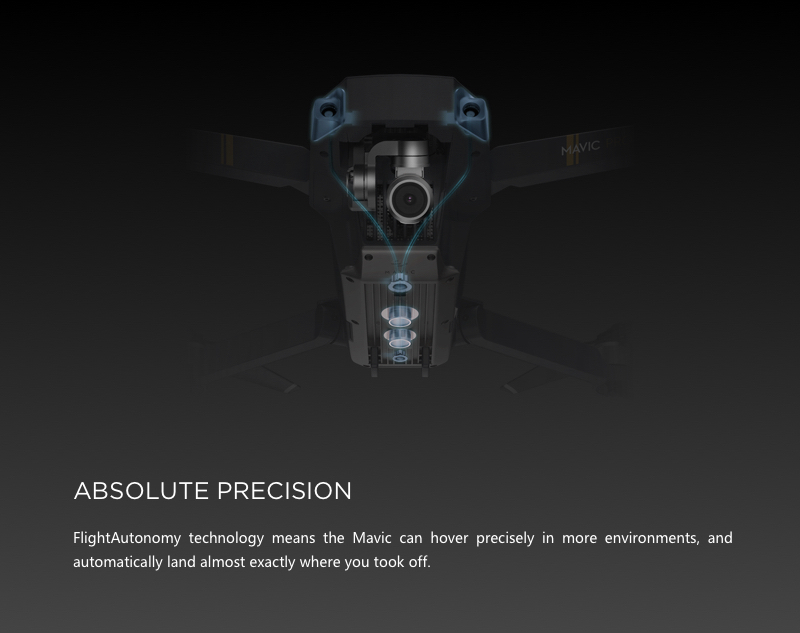 Not only does the Mavic support flying on your phone with Virtual Joysticks, but you also have full access to all of its Intelligent Flight Modes — TapFly, Trace, Spotlight, and Profile. Using just your phone, you can capture photos and video so incredible, that no one will believe you did it just by tapping a screen! 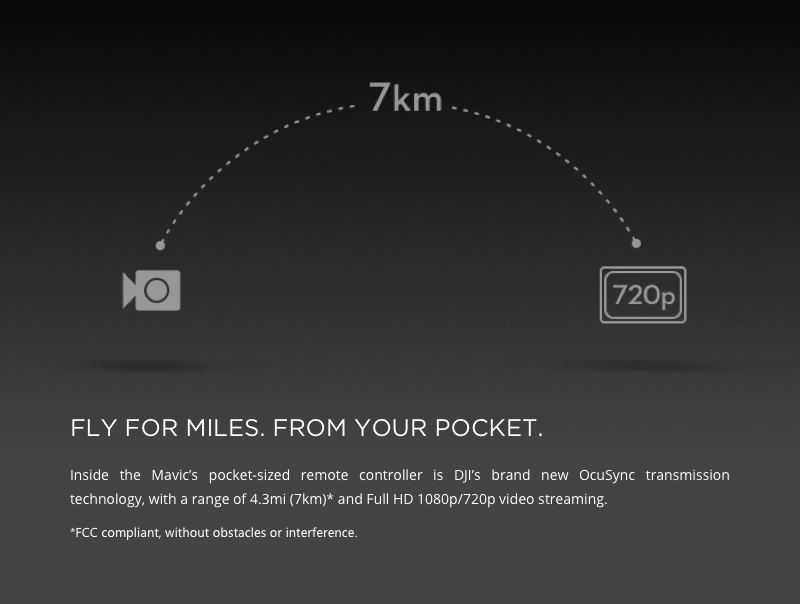 DJI GO 4 is your Mavic’s control center. 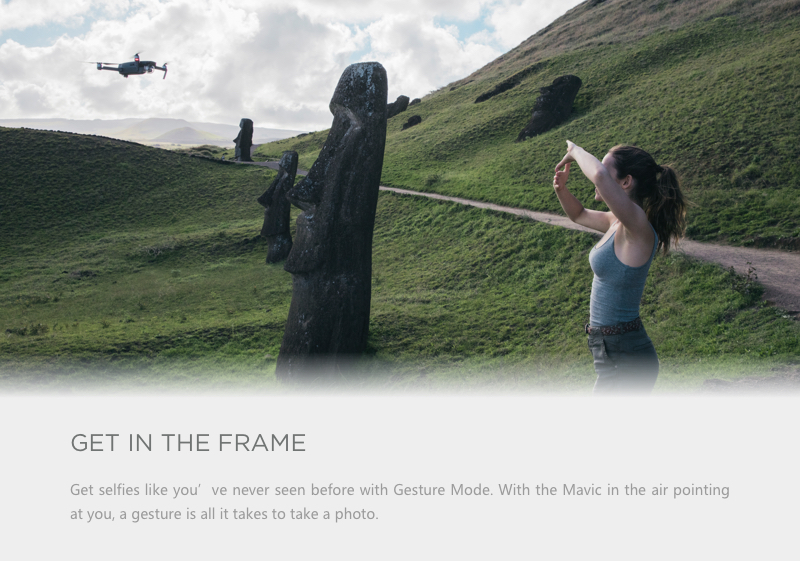 When your phone or device is connected to the Mavic, it shows you everything the camera sees in near real-time, so you can set up and frame every shot as if you are actually there. It also gives you full manual camera controls for photos and videos, including ISO, shutter and file format. 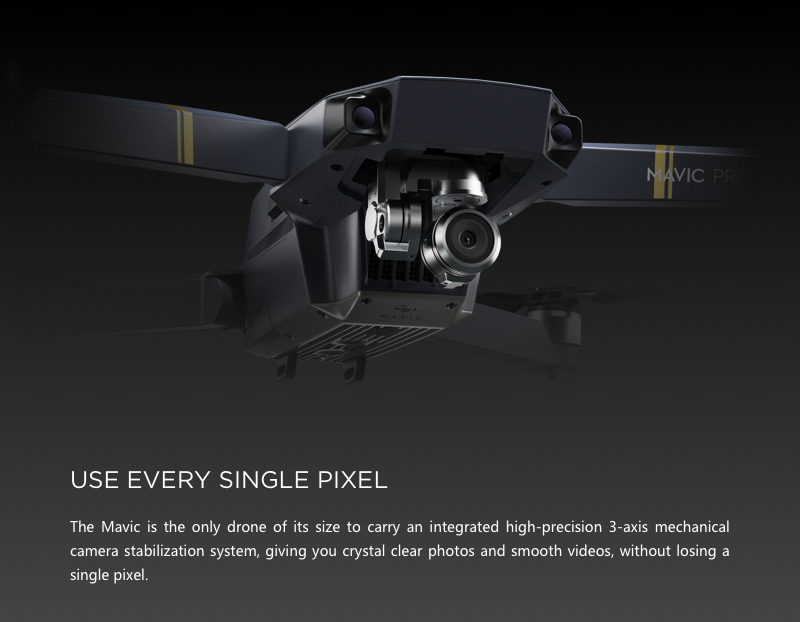 It even lets you fine-tune your Mavic so that it flies exactly how you want it to.